After 2017 during which Bitcoin went from under 1,000 USD to almost 20,000, it’s safe to say the cryptocurrency has seen some serious buzz. As a result, Blockchain technology has been increasingly recognized by the public, the banking industry, and mainstream media in the last year. People have begun to take notice of the fast transaction times, low transaction fees, security, and overall potential of cryptocurrencies. If you happen to have a digital wallet brimming with cryptos or are interested in mining or purchasing some, you may have asked yourself: How can I use my digital money in the real world? You’ll be happy to know, there are multiple ways to do so. How Can I Use Bitcoin and Other Cryptocurrencies? Here are some useful and popular examples of how people spend, invest, or save their Bitcoins. As cryptocurrencies take the world by storm, an ever-increasing number of retailers big and small are accepting them as a form of payment. Some of the most relevant are Microsoft, Dell, Overstock.com, Newegg.com, TigerDirect.com, and now even Tesla, are allowing customers to acquire goods and services using Bitcoin. This is only a small list; there are many other retailers to choose from. If your favorite online or offline retailer does not accept cryptocurrencies as payment, you have the option of getting a Bitcoin-funded credit or debit card or even a gift card for your vendor of choice. 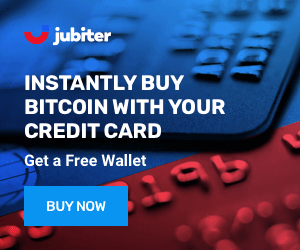 Many companies now provide Bitcoin-funded debit and credit cards that operate on the Visa, MasterCard, and AMEX platforms, allowing you to purchase goods and services online and offline from millions of businesses worldwide. There is a long list of companies providing this service, some of the most important are Xapo, Coinbase Shift, CryptoPay, Bitpay, BitStamp, SatoshiTango, and many, many more. You can get cash from an ATM using your Bitcoin-funded debit card from one of the vendors listed above. Also, there are specialized Bitcoins ATMs around the world that allow you to withdraw cash directly from your cryptocurrency wallets. Web services like Coinatmradar.com and Coindesk.com have search engines that let you find the nearest Bitcoin ATM. If you are interested in purchasing gift cards from your favorite retailers, you can buy them using cryptocurrencies in sites like eGifter.com, Gyft.com, or YestoBitcoins.com that let you convert your tokens into gift cards for many of the major retailers around the world, including Amazon. With the incredible gains in market value Bitcoin has made, one of the most popular options for many users is to either hold on to their investment, trusting in that steady rise in value, or keep buying and selling as a day trader. So far, early adopters who have held onto their Bitcoin are laughing all the way to the bank. However, murmurs about a bubble are spreading, and the financial legislation will have unknown effects on Bitcoin’s value. The coming year is bound to see more unpredictability and tumult in the market. Investing in cryptocurrency is a high-risk venture with high gain potential and just as much loss potential. Used by millions of customers around the world, Coinbase allows you to easily and securely buy, use, store and trade digital currency. 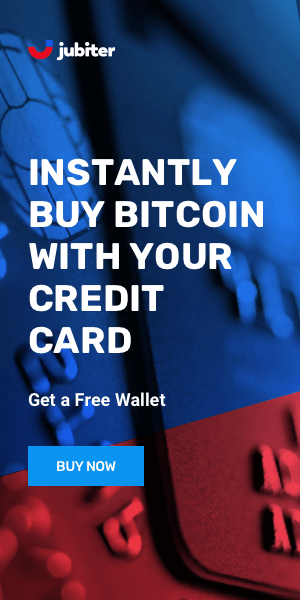 You can purchase Bitcoins, Ether, Litecoin, and more from Coinbase through a digital wallet available on your desktop, as well as Android & iPhone. You can also trade with other users on the company’s Global Digital Asset Exchange (GDAX) subsidiary. GDAX currently operates in the US, Europe, UK, Canada, Australia, and Singapore. Kraken is the largest Bitcoin exchange in Euro volume and liquidity and is a partner in the world’s first cryptocurrency bank. Kraken lets you buy and sell Bitcoins and trade between Bitcoins and Euros, US Dollars, Canadian Dollars, British Pounds, and Japanese Yen. You can also trade other digital currencies like Ethereum, Monero, Ethereum Classic, Augur REP tokens, ICONOMI, Zcash, Litecoin, Dogecoin, Ripple and Stellar/Lumens. The Cex.io exchange provides a wide range of services for using Bitcoin and other cryptocurrencies. The platform lets users easily trade fiat money with cryptocurrencies and conversely cryptocurrencies for fiat money. The Cex.io website is secure and intuitive and your cryptocurrencies can be stored in safe cold (offline) storage. Many new Blockchain-based businesses are looking for funding from regular everyday investors via ICOs (Initial Coin Offerings). By becoming an early adopter of a new currency, a new exchange, or a new Blockchain application, you can get in on the ground floor and see your investment grow. You never know, you might find the next Apple or Google. You could also look into micro-investing, where you invest very small amounts of money into lots of little ICO’s, spreading the risk and mitigating the risk of losing your hard-earned money. Whatever you decide to do with your Bitcoin, welcome to the future.